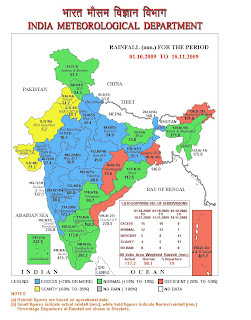 About a month of the actual the northeast monsoon has generated excess rainfall in most of the southern peninsular states during the season so far . The best reciepient is North Interior Karnataka, with an excess upto +89%, and coastal Karnataka with a surplus of +72%. TamilNadu showed a surplus of +15%, though there are some regions in the north still deficient. (Map). So, with Kerala at +8%, it is overall a good season for the south as yet. Of-course with the Nilgiris getting much in excess of damaging rains. The season has been normal or above normal over the southern peninsula. But the central regions of Mah. and M.P. and more than their share of this "unseasonal" rain. Map shows all this region in excess. Now, as per international forecasts, more rains are coming to the Tamil Nadu coast during November 19 to 26. The south bay will host weather systems like lows/easterly waves for the southern peninsula during this time frame. 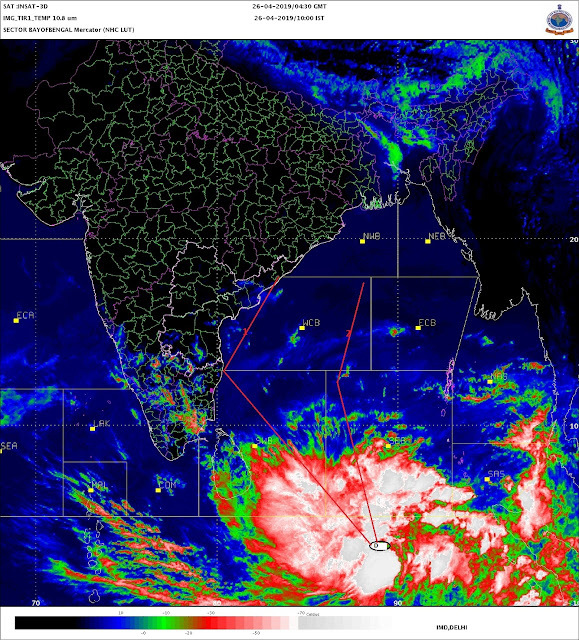 Hence Tamil Nadu coastal regions could expect heavy rains from the 21st. Also, COLA sees some rain along the western coast (Karnataka coast) from 23rd. Some of this rain belt is seen creeping into southern Maharashtra on the 24th. November. Hence, we can expect some light rain in southern Maharashtra. Lets say Pune can recieve cloudy weather/light rain on 24th. Mumbai: Weekend will be dry. No surprise after enough rains. In November, Mumbai Colaba has recieved 120mms (Record 164mms), and S,cruz has got 78 mms (Record 101 mms). With some reduction in humidity, one may feel a bit comfortable, though I expect the days to be high at 33c. Night will be pleasant at 22c. Pune too was not too far from its record November rains. The city recieved 176 mms this month against the record of 209 mms. A drop in the night temperature is expected for Pune, low could nippy at 12/13c for the weekend. But increasing cloudiness after Monday will arrest the nip. Hi Rajesh, What will be the impact of these rains on agriculture...especially food crops...any idea...? is it good or bad...?